McNary juniors Sydnie Gould and Ivy Parker were both stunned to hear their names announced as the 2018 Keizer’s Distinguished Young Women on Saturday, May 13. Before receiving the final award of the night, a $1,500 scholarship, Gould, who intends on enrolling at George Fox University and becoming a school counselor, had already racked up $750 and a silver iris pendant from Boucher Jewelers for winning scholastic achievement as well as the interview and talent awards. Parker, who plans on attending Oregon State University to become a physical therapist, also won the self-expression award, which came with an additional $250 scholarship. The 10 participants were judged in five categories—scholastic achievement (20 percent), interview (25), talent (25), fitness (15) and self expression (15). Sarah Eckert was named the first alternate, winning $500 and a silver iris pendant. Taylor Johnson won $250 for the fitness award while Crystal Llanos captured the spirit award, taking home a $250 scholarship and jewelry box from Boucher Jewelers. Both Gould and Parker enjoyed the relationships they made with the other girls over the past two months. “It was super awesome to get to know everybody and that’s still the best part about it is getting to know all these girls,” Gould added. 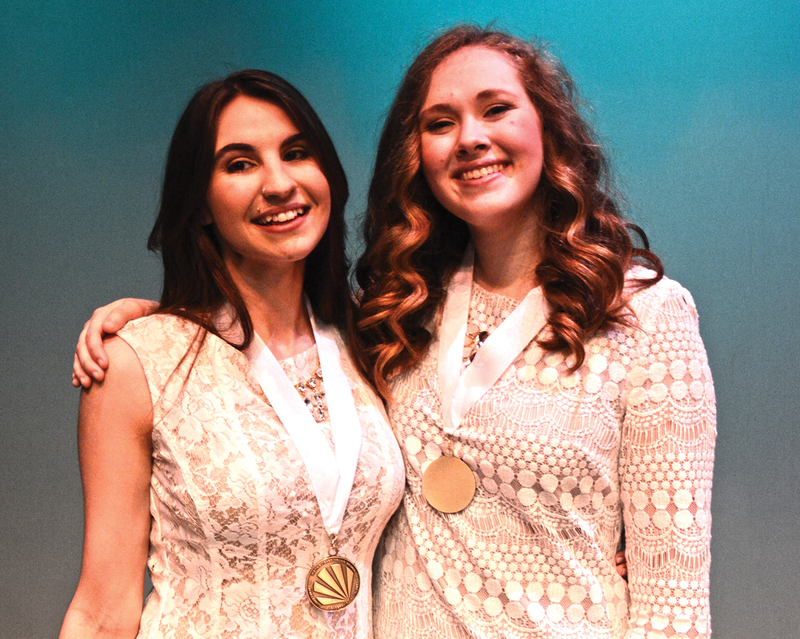 As Distinguished Young Women of Keizer, Gould and Parker advance to the state competition Saturday, Aug. 5 at Chemeketa Community College.